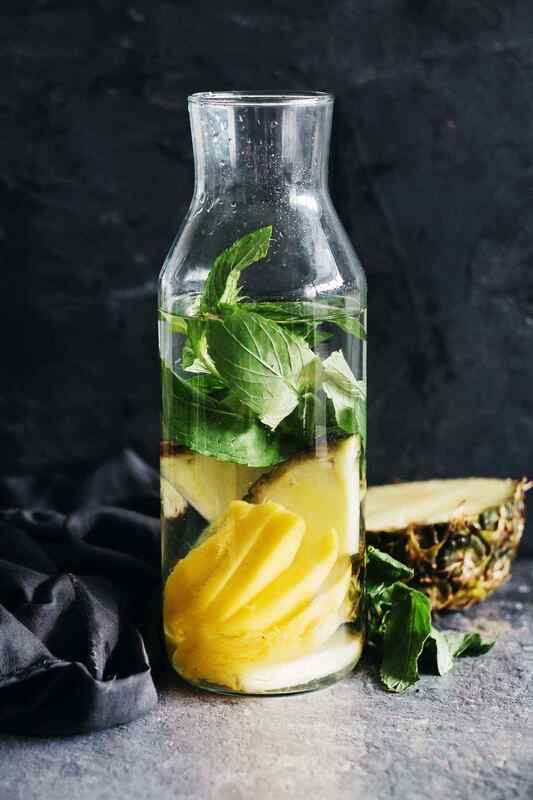 A refreshing tropical combination, this fruit infused water helps your skin glow, increases fat burning and nourishes your body with powerful antioxidants. 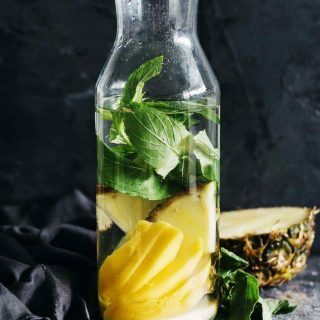 The enzymes in pineapple stimulate digestion and the immune system, while helping you lose weight. Mango adds a sweet and tangy taste to your infused water, and also vitamin C and anti-inflammatory nutrients. It also contains enzymes which help comfort the stomach during a detox. Mint serves to enhance the flavor of these two tropical fruits, and also gives a refreshing taste and an extra antioxidant kick.